My name is Paul and I usually blog over at Setting The Woods On Fire. Boyhowdy has been kind enough to let me say a few words here while he enjoys a vacation. 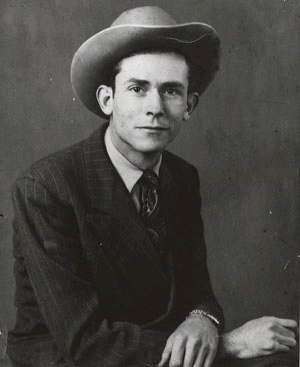 As you might have guessed from the title of my blog, I’m a big fan of Hank Williams. I also love cover songs. Cover songs are fun because they help you separate the song from the performance. Do I love Hank because of the songs he wrote and poularized? Or do I love Hank because of the way he performed them? I’m sure it’s a bit of both, but listening to covers of Hank is a good way to understand what makes Hank’s records so special. Except for the Dylan tune, the tracks featured here are new to me. Boyhowdy thought it might be interesting to see how a Hank fan would respond to folky covers of Hank’s work. Some I liked a lot. Some not so much. I’ll start with Cold Cold Heart by Norah Jones. This one should generate lots of interest, as it’s one of Hank’s best compositions performed by popular singer. While Norah undoubtedly has a great voice, I’m not sold. I hear it more as a musical exercise than as an emotional plea from a frustrated lover. Lesson: I love Hank because he really sells a song. Speaking of over-singing, here’s a rendition of Long Gone Lonesome Blues that’s just a bit too overdone for my taste. Yodeling is OK (in small doses). Quavery yodeling is pushing it. Another one from Boyhowdy’s batch that I really liked was I’ll Never Get Out Of This World Alive by Greg Brown. It’s kind of a goofy song (“I was living high until the fatal day a lawyer proved I wasn’t born, I was only hatched”), and it’s a Hank Williams’ signature tune, so it’s not an easy assignment for a cover artist. But Brown pulls it off with aplomb by playing it straight. Just like Hank, I believe Brown’s exaggerated tale of woe. Only one of Boyhowdy’s batch of folky Hank covers really bothered me, and this is it. The descending harmony party is cloying. And the re-written lyric about the “gay” dog just does not belong in a Hank Williams song (not that there’s anything wrong with gay dogs). Score one point for Hank’s performance trumping his songs. Let’s close this post with a Hank song performed by one of the few artists that I would place on an equally high pedestal, Bob Dylan. I hope you enjoy these tunes. If I’m wrong about my criticism of any of the few I didn’t like, please let me know. It’s just one Hank fan’s opinion. Oh yeah, my conclusion from listening to these covers is that I like Hank’s songs, but I love the way he sings them. 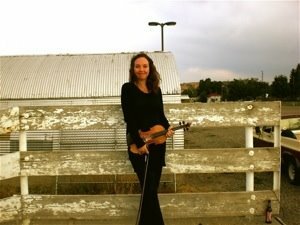 Prolific blogger and tastemaster Paul pays regular tribute to country, rock, bluegrass, and jazz over at Setting The Woods On Fire. He is also a founding member of collaborative music blog Star Maker Machine. I saw Beck from a great distance in the heyday of Odelay, sandwiched between Primus and Toad the Wet Sprocket: it was the early nineties, it was Horde, we were bopping on the throbbing lawn, and folk was the farthest thing from anyone’s mind. Fifteen years later I’m married to the girl I took to the concert, Beck’s still cranking out the pophits, my hard drive is stuffed with folk music, and I pick up every Beck album as it comes out. Is Beck a folk musician? Not if measured by his hits, no. Technically, his most popular work is post-modern alt-rock, if anything. But there’s plenty of reasons why Wikipedia includes the artist formerly known as Bek David Campbell in its list of American folk singers, and uses the term “folk song” to describe a vast swath of his work (I swear, it said that even before I showed up). Beck spent his early days as a busker and coffeeshop player, which gives him the folk street cred; he even opened for Johnny Cash in 1995. He can play a slide guitar and twang his postadolescent voice like no one’s business; some of his songs from that period and before come across as almost alt-country. Beck’s songwriting, too, lends itself well to the cadence of the folksinger, as both his less highly-produced projects and covers of his work demonstrate. Today’s bonus selections, by KT Tunstall, Tom Petty, and Marianne Faithful, provide some tasty versions from the folkier side of this versatile performer’s songbook, just to show how folk these songs really are. But Beck’s 2002 album Sea Change, especially, represents a stripped-down acoustic style that leans on his rough interpretation and a simple, indiefolk production style — even if the occasional synthpulse in the background belies his post-modern hip hop heritage. And when Beck takes on the songs of others, he generally chooses to slow them down, letting his quavery voice and lo-fi, sparse acoustic instrumentation recreate tone and timbre until everything is wistful, hazy, and raw. 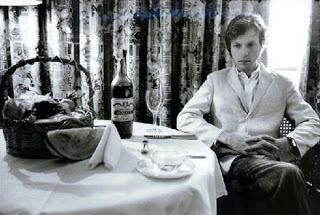 Live or B-side, tribute album or hidden track, Beck’s penchant towards funereal alt-folk pieces, like Ryan Adams or Gillian Welch at their slow and melodramatic best, legitimizes his inclusion in a blog devoted to folk covers. Regardless of categorization, Beck’s work is available directly through his online store. Folkfans should probably start with Sea Change; if your ears can take the bouncier, harder stuff, I also highly recommend Odelay and Guero.